The previous year had more than its share of big news for the annuities industry. Ambiguity around the Department of Labor’s fiduciary rule led to a bit of a muted start to the year. Despite the rule’s eventual pullback, the industry forged ahead with procedures and policies designed to help increase clarity and simplicity, and provide even greater access and understanding to advisors and investors. With an industrywide sales rebound in 2018, there are reasons to be optimistic this year. What does 2019 have in store for annuities? Based on the ripples that are starting to show, we expect four key trends to define the industry in the year ahead. 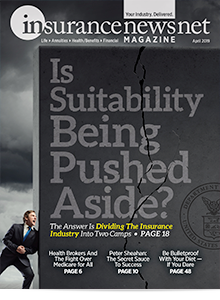 The annuities industry has gone through significant consolidation over the past year. 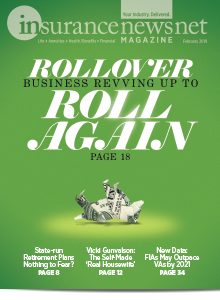 Voya, The Hartford and Ohio National all exited the annuities sector. In 2019, industry consolidation will lead to opportunities for consumers, as the range of products offered by remaining providers continues to grow to meet consumers’ strategic needs. For advisors, this means more products are likely to be available on platforms they already use to manage their clients’ business. You’ll see a greater emphasis on service as fee compression and demand on advisors’ time reduces advisors’ willingness to use multiple platforms to bring products to clients. The result will be highly flexible one-stop shops for advisors to tap into a comprehensive range of products they can offer, coupled with white-glove, back-end service designed for time savings, cost savings and ease of use. 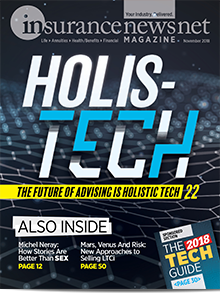 The “Amazon-ification” of financial services will reach closer to the annuities industry, increasing demand for both self-directed optionality coupled with high-touch service through personal advice. The consumer experience often weaves together self-directed and advisor-guided financial product purchases, according to LIMRA research. We’ll see more emphasis on enabling customers to shop and get advice wherever they want — with an advisor, in the workplace or on self-directed platforms. This will give consumers the freedom to invest and buy products independently while also having options for those seeking professional advice. Because of consumers’ preference to be able to shift from self-service to professional advice, self-service platforms will increasingly serve as a pipeline for financial professionals, supporting their business. 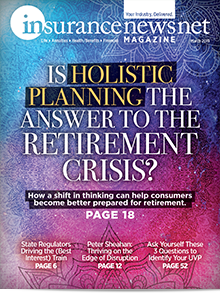 Financial professionals will still have a key role to play in helping people develop retirement income strategies that meet their retirement goals, and help them realize the lifestyle they want in retirement. Professional advice is even more accessible than ever and is especially critical in retirement income planning. In 2019, we can expect to see more digital platforms opening to direct consumer access that will only continue to fuel advisors’ business. Investors see product complexity as a holdover from the 2008 financial crisis. This will continue to increase pressure on providers to deliver easy-to-understand, transparent products. This drive away from complexity aligns with regulatory trends, such as the Securities and Exchange Commission’s proposed Regulation Best Interest, as well as the momentum for more do-it-yourself investment options. Expect continued growth in the fixed annuities space. Providers will bring more simplified, transparent offerings to the market. Meanwhile, investors will be more willing to accept limited upside potential for guaranteed floors and risk mitigation in retirement income. LIMRA data shows that more than 50 percent of consumers will choose the guaranteed income over a lump-sum payment in retirement. This indicates the demand for fixed products is likely to continue as baby boomers continue to retire in record numbers. In 2011, the annuities sector was heavily weighted toward variable annuities. The pendulum is now swinging in the other direction and fixed products are increasingly prevalent. 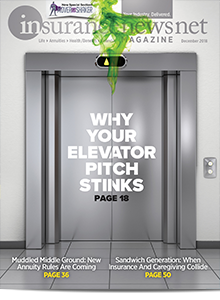 A continued rising interest rate environment in 2019 will only add fuel to the fire, driving fixed product sales in the new year. The most fundamental shift in the industry is likely to be less tangible, but arguably more impactful in the long run. The financial planning mindset is fundamentally changing. Against the backdrop of an aging population, increasing longevity, risks to Social Security and stagnant wage growth, there is a growing, silent retirement crisis of individuals entering retirement without sufficient income to fuel their lifestyle. As a result, the rates of debt and bankruptcy filings among the elderly have more than tripled since the early 1990s. Industry-wide initiatives are underway to change the dialogue away from retirement asset accumulation and instead focus on retirement income. This momentum will continue to build in 2019, benefiting from a growing recognition of the challenges an aging population faces, as well as tailwinds from legislative efforts that could include the Retirement Enhancement and Savings Act and the Family Savings Act. Given the challenges and barriers people face in preparing for retirement, annuities can provide part of the solution, giving them a little more security and confidence in the future. In addition to securing a steady stream of retirement income a retiree can rely on to supplement other savings; annuities can also lower the amount a consumer needs to save in order to guarantee a given amount of retirement income. A 2017 study found that most Americans favor financial strategies that offer guaranteed lifetime income. Ninety percent of all consumers who responded to the survey said they are very interested or somewhat interested in receiving lifetime income. Further, the new research from the Alliance for Lifetime Income found that 74 percent of households with a guaranteed retirement income stream are confident their retirement savings will last the rest of their lives. 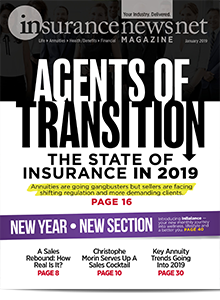 This year will be another year of transition for the annuities industry, as the mix of both providers and products changes to suit the needs of advisors and consumers alike. A smaller group of insurers will end the year providing a wider range of product options. These products will be more accessible to advisors on the platforms they use and easier for consumers to understand. The changing approach to retirement planning will shine a new light on annuities, which are increasingly seen as a critical tool to provide the guaranteed retirement income consumers need to provide the peace of mind and security to live their ideal retirement. And by this time next year, annuities products and the industry at large will have preserved the best of the past, while reinventing for the new decade in 2020. Kent Sluyter is the president of Prudential Annuities. Kent may be contacted at [email protected] [email protected].